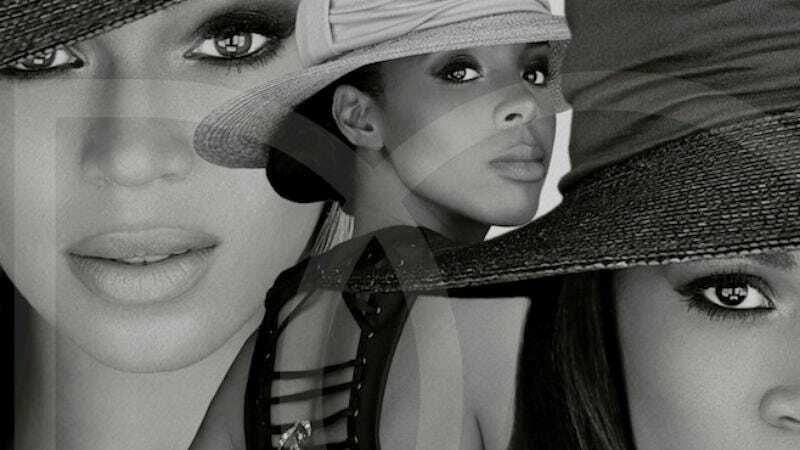 A reunited Destiny’s Child has recorded a new song for a forthcoming greatest hits compilation. “Nuclear” is the group’s first track since 2004 and features production by both Pharrell and Beyoncé. It will be included on Love Songs, which spotlights the group’s love songs (duh), and arrives Jan. 29 on Legacy/Columbia records. Coupled with today's rumblings about a new Justin Timberlake record, it's clear the early’s '00s are back again. Break out the Ugg boots. In related news, an underboob-flashing Beyoncé tells GQ that her new solo album could be out as early as April. Its first single is rumored to be a collaboration with Lady Gaga called “Ratchet,” and it could show up during Beyoncé’s Super Bowl halftime performance next month.